Commencement of business can be daunting irrespective of its size. Before starting a business we should look after so many things like bookkeeping, office space, furniture to fill the office space, insurance ….and the list goes on! It’s a bit tuff task for an entrepreneur to meet all the expenses, so this can mean asking a friend or relative to build your new website on the cheap. It may save a bit of cash initially by asking them to build your website; this can actually cause big problems down the line and cost your business massive amounts of money – not just in terms of fixing inevitable issues that arise from a poorly-built website, but also in lost business revenue. Now a days looking for goods and services for most people the first thing they do is search Google, so the most powerful marketing tool is your business website. While a friend might be able to give you a website for cheap, a well-designed website and the ongoing marketing expertise that an agency provides is an investment in the growth of your business in the digital age. Read on to find out the benefits to your business of having your designed and built by Reach WebExperts. With a web design agency, Reach webexperts Building websites is what we do. Your success is our success, so you can be sure that we want your site to be top notch, work well across all devices for the best chance of impressing your potential customers, and most importantly, get online quickly so your website can start working for you and bring in clients. Problem with asking someone you know to create your site for low cost is that old chestnut, “you get what you pay for”. Working with an agency, Reach web experts understand that a quality business website is an investment in the success of your business. We want to work with you to make sure we create an end product not only that you are happy with, but also that will help you achieve the goals that were the reason you wanted to get a website in the first place – marketing and growing your business. A web design agency has the experience and knowledge to understand what you need and turn that into successful website, which a friend or relative who build sites on the site may not be able to do. latest technologies, online marketing trends and (“SEO”) guidelines, such as page load speed and making sure your site is accessible on mobile – not to mention software and server upgrades. A friend or relative giving you a cheap website is a one-off product that might sit there untouched.What an agency can offer you is an ongoing service – a beautiful, mobile-responsive website that is a powerful tool in your ultimate goal of attracting customers and growing your business. An agency Reach web experts give you perhaps what a friend n agency can give you perhaps what a friend who builds website on the side cannot – years of experience in online marketing, , applied with your business goals in mind specific to your industry and target market. SEO, email marketing, social media … if you have a great website but nobody knows it’s there and you’re not converting leads, the entire point is lost. Right from the beginning an agency can ensure your best chances of success in a competitive digital space. 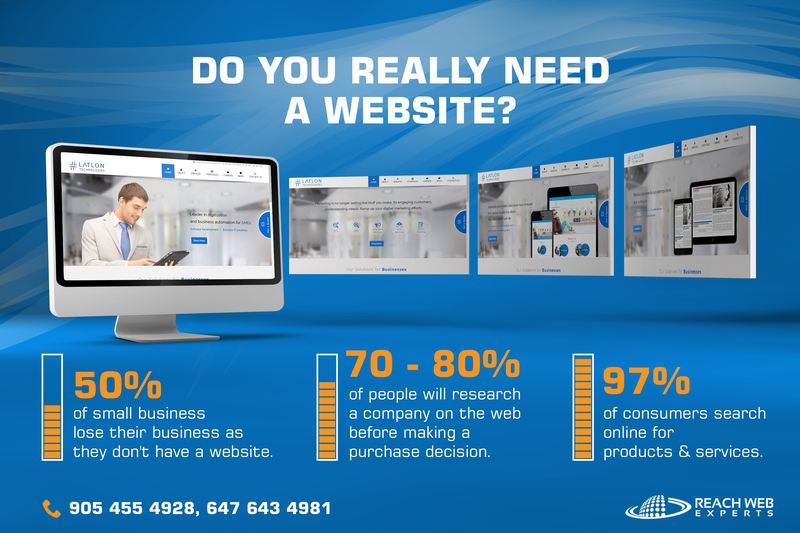 For us, your website is not a side project, but a means to help you achieve your business goals, promote your goods and services and help you stand out in a sea of competitors. Are you ready to take your marketing to the next level? Get in touch with us today Reach WebExperts to find out the ways we can help! ← How to Make SEO Work for you!